Our new C7 Corvette Stingray Polished coolant tank cover is made from hand polished stainless steel. 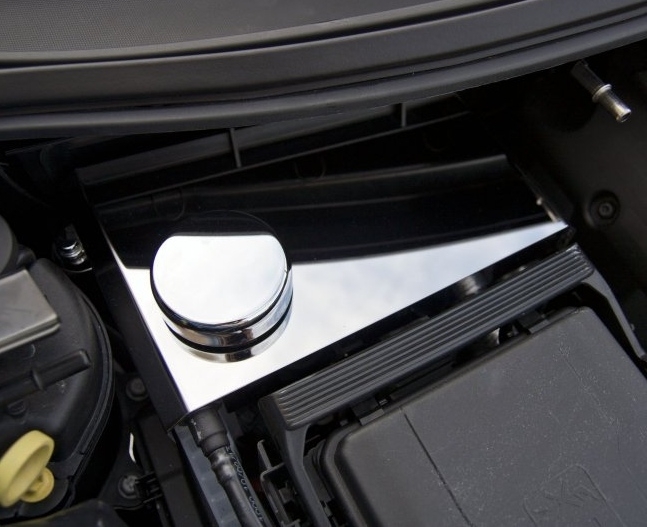 Dress up your C7 Corvette with our Polished Stainless Steel surge tank cover. This polished stainless steel coolant tank cover compliments our other under hood Stingray pieces.